Anue Water Technologies’ FORSe 5™ treatment equipment is a new series of systems for efficient, cost-effective wastewater odor and corrosion control that utilizes ambient air to generate pure oxygen and ozone. This gas stream replaces the traditional treatment chemicals that must be manufactured, hauled and stored on site at your expense and to the detriment of the environment, only to be poured down the drain. FORSe 5 technology is unique not only for generating both oxygen and ozone, but also for the method of delivery. FORSe 5 employs a patented process for directly infusing oxygen and ozone into the wastewater stream via HydroDynamic™ infusion. This high efficiency process ensures that maximum treatment gas is dissolved into the liquid phase and stays there until it is utilized. This keeps operating costs low while maintaining superior treatment effectiveness. FORSe 5 is capable of integrating advanced, closed-loop control that monitors and responds to changing conditions utilizing our FloSpec™ system. This monitoring system allows for various levels of control, depending on the specific needs of the application. Want to maintain peaks below 20 ppm H2S? Our control can do that. Want to modify gas output so it matches whats coming down the line? Our control can do that too. Even better, these controls, as well as the rest of the system, can be monitored and modified from anywhere via SCADA, cellular or web based communication protocols. FORSe 5 odor control systems are engineered for use in force main and lift station as well as combination applications. All systems include high efficiency oxygen and ozone generators and the FloSpec control and communication system. The type of infuser varies depending on the application yet all infuser designs utilize the HydroDynamic infusion process to assure maximum saturation directly into the wastewater stream. FORSe 5’s highly efficient HydroDynamic infusion of both oxygen and ozone supersaturates the wastewater and targets odor at the source. Ozone is able to quickly oxidize odorous compounds, which provides a level of immediate odor treatment. Oxygen is then able to not only aid in this chemical oxidation treatment, but is also able to treat the source of odors by maintaining aerobic conditions within the system. This discourages the presence of Sulfate Reducing Bacteria, which are the primarily source of the odorous precursors, and encourages the growth of aerobic bacteria. Even more, this is done without detriment to plant processes that can be experienced with chemical additives. 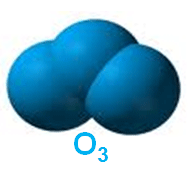 Ozone is a very strong oxidizer with a relatively short half life. In order to take advantage of its superior reactivity, direct application is necessary. When ozone is directly applied to the wastewater stream it quickly and completely oxidizes sulfides, in particular hydrogen sulfide, to form sulfites and sulfates. This H2S oxidation can take multiple pathways but ends with favorable reaction products of water and oxygen.Hydro-dynamic infusion enhances transfer efficiency, which both increases dissolved concentrations of oxygen and ozone and provides a greater surface area for reactions to occur. The all new EnviroPrep EP-1100A Series are mechanical, wastewater systems for cleaning and conditioning of wastewater in lift stations, keeping them free of fat, oil, grease (FOG) and biological build-up. The system operates by recycling a fractional amount of pump discharge flow back into the well. This automates the clean-out process. Additionally, it elevates Dissolved Oxygen (DO) levels and homogenizes fluent quality and characteristics, thus reconditioning the wastewater. The HydroSpear HS-500 Series are mechanical, wastewater systems for cleaning and conditioning of wastewater in small lift stations, generally 6 feet in diameter or less. The HS-500 Series features a non-rotating head that returns a fractional amount of pump discharge flow back into the well. This keeps them free of fat, oil, grease (FOG) and biological build-up, while automating the clean-out process. It can increase Dissolved Oxygen (DO) levels and homogenize fluent quality and characteristics, thus reconditioning the wastewater. The HS-500 Series saves utilities time and money by reducing clean-out costs up to 90%. For detailed information, please see the brochure.